At planning stage developers and Architects require a strategy for how the building will be heated, ventilated and cooled. BSE 3D’s in house energy assessors and engineers support the design team and develop thermal models and sketches to help optimise the building fabric, provide external and internal shading to avoid overheating and calculate daylight factors to optimise windows and reduce the need for artificial lighting. Developers require an indication of how much the building will cost to operate and how efficient it will be against similar buildings to further demonstrate to the planning department. 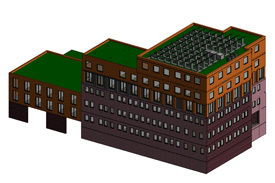 BSE 3D prepare a fully dynamic computer simulation of the building before it is built in order to demonstrate to the planning department that the energy performance has been properly considered and optimised. Our engineers work with our energy assessors to develop strategies and workable designs tailored to the Clients budgets at early stages. Many Local Authorities now require evidence of sustainable design and development. 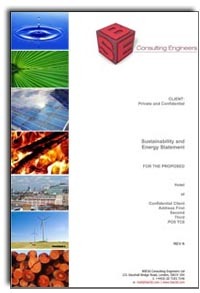 To satisfy this BSE 3D provide a BREEAM AP and BREEAM assessor service. We work with developers and the design teams to develop and engineer a sustainable, more energy efficient development to exceed expectations whatever the budget. Our specialists attend and host workshops with the design team to encourage thinking ‘outside the box’ and continual innovation. As specialists in Building Information Modelling (BIM) BSE3D develop models at planning stage to demonstrate how the engineering services will look, how they can be safely accessed and serviced and in order to assess noise levels. Get in touch with us today for more information on our services or visit our offices in London, Sussex or Ireland.